As much as I’d like to think I’ve kicked some of the less fortunate habits of my childhood (a bedroom that resembled a barnyard being one of them, and the socially distressing dis-ability to execute even one proper pull-up during the Presidential Fitness Test not being one….so what? ), procrastination is one stubborn little thing that always manages to seep up around my life’s seams, in one manifestation or another. Of course, I’m not perfect, and neither, I suspect, are you – we all put off those little annoying things that tend to pop up relentlessly, whack-a-mole-style, and though I’m definitely not putting off any Science projects till the last night….at 9:30 PM (I’m still sorry for those, Mom! ), I do stubbornly wait to do certain things till the last second. Like changing my name on my passport to match all of the other legal identification items I have that reflect my new, married, name. Who needs to bother with that? Not this girl….well, not till her dear sweet and understanding husband smiles politely as I fork over the extra $60 expedition fee in order to have the proper documentation to procure a California driver’s license while, you know, I’m like driving around in California. It’s not like I’ve had that long to deal with it……just eighteen-months….(cough)….. And then smaller more inane things, like making these brussels sprouts back when we were still living high in the Rockies with snow on the ground. Back when citrus was still really in season (ummm….in January sometime, me thinks? ), and brussels sprouts weren’t nearing their end at the markets. 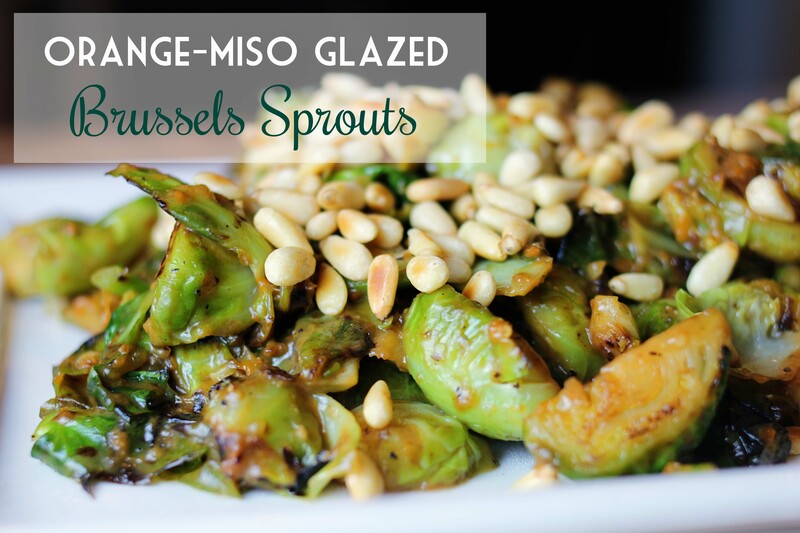 The further we got away from that time the more I kept reminding myself to tell you about these miso-glazed sprouts – because they are really good. Great even. But time got the best of me and we moved and wah wah wah. 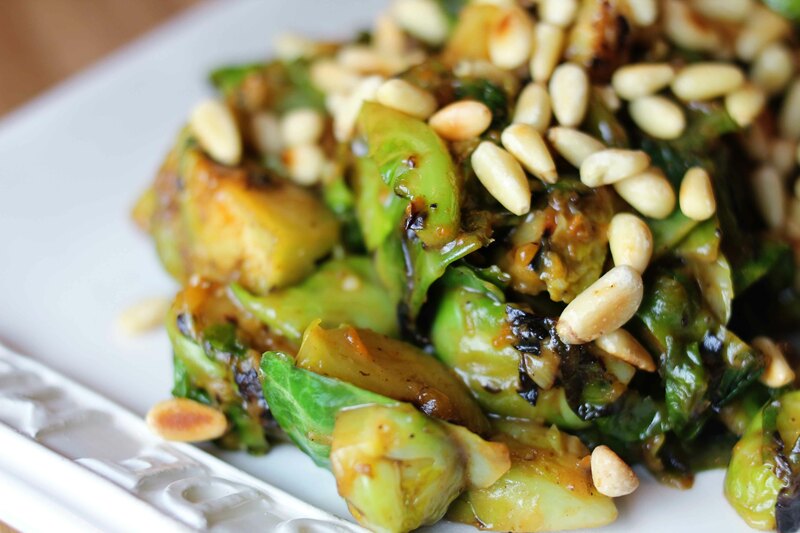 And then a quick trip to the supermarket reminded me that even though I’ve been lazy, you can still get your mits on some good oranges and a bag of brussels sprouts that will suit this recipe just fine. I won’t go extolling the virtues of the sprout, as by now most have realized that little-icky-orbs they are not, but rather delicious little bombs of flavor that suit themselves well to any myriad of preparation. Cooked down in a hash, shredded up in a salad, or simply roasted till perfectly crisp, they are actually super versatile, and their strong texture and hearty flavor stands up to nearly anything you can throw at them. 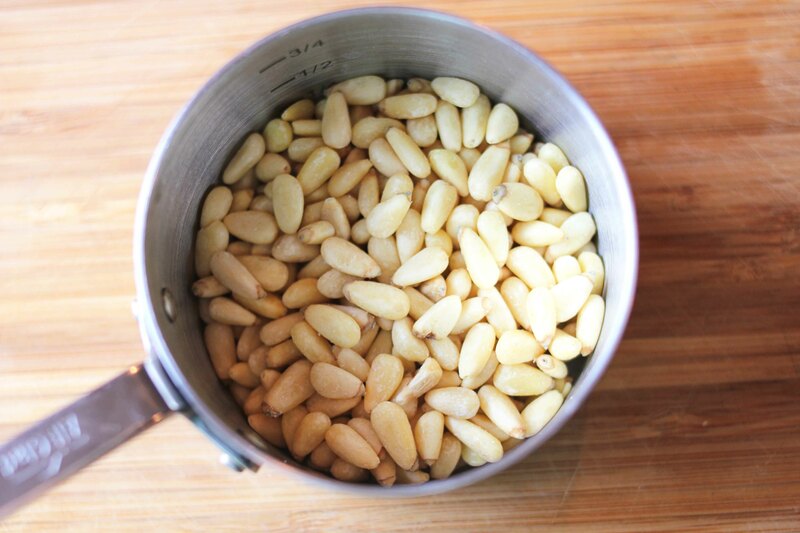 This iteration, pan fried till caramelized, cloaked in a fresh orange and sweet miso glaze, then dusted with toasted pine nuts, makes everything right in the world. It’s sweet, it’s salty, it’s tender and has crunch, and can easily elevate and carry a plain dinner of baked fish or chicken. The flavor notes are admittedly cold weather-ish…but from what I understand my poor Boulderites and darling bakery mavens are still shoveling themselves out from foot upon foot (upon foot!) of snow – perhaps my procrastination was actually worthwhile. 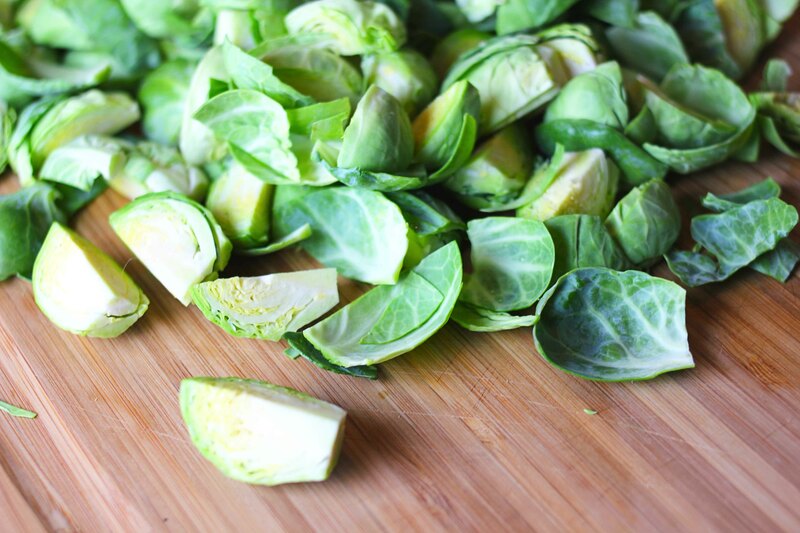 Try and find brussels sprouts that are not too large – the bigger they are, the tougher they tend to be. You can find mirin (Japanese cooking wine) at Whole Foods, a well stocked grocery store (in the Asian section), at an Asian market, or on Amazon (duh). 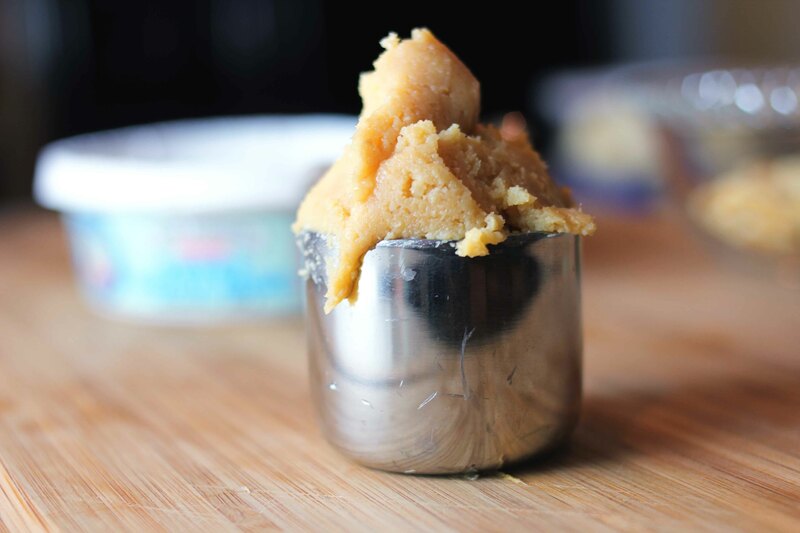 “Sweet” or “mellow” white miso is miso that has been fermented for a shorter period of time, and is thus less salty and less strong. If you can only find a darker variety, simply use a bit less (I would halve it, and scale up from there to taste). 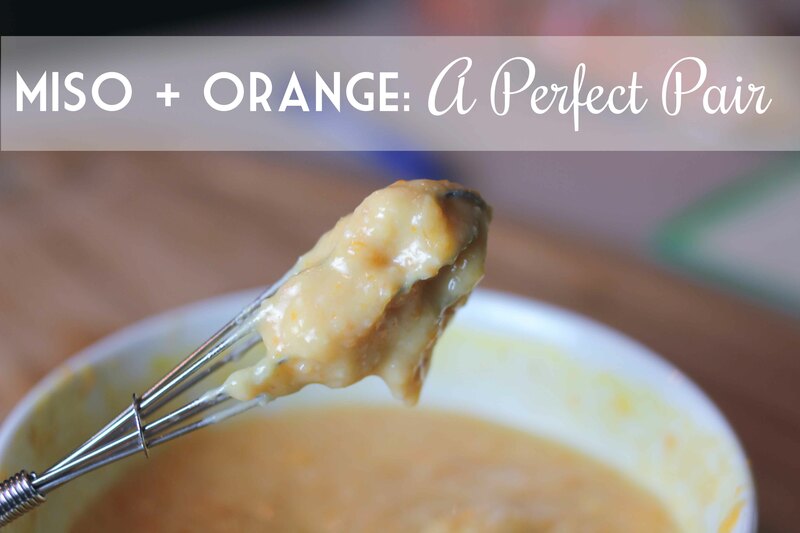 I used Cara Cara oranges for this and they were delicious – they are my favorite, when I can find them. Any other juicy citrus (even clementines!) would work for this though. 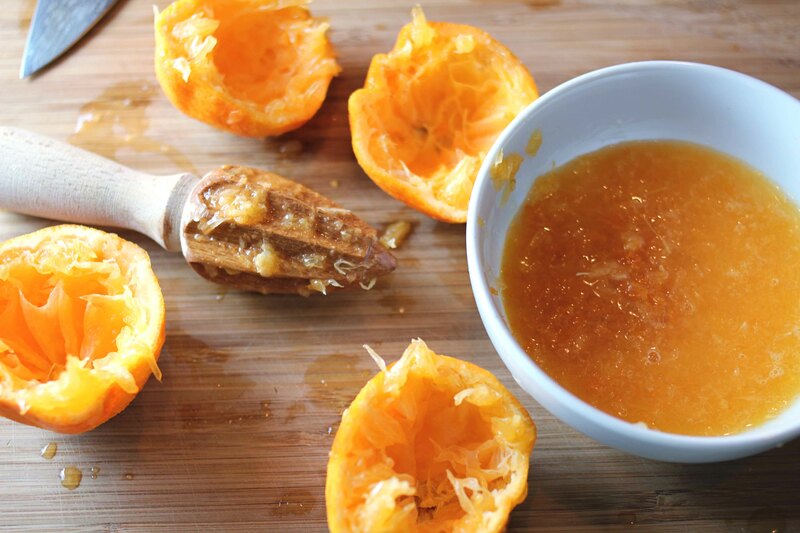 Whisk together the fresh orange juice, the miso, and the mirin. In a medium sized skillet set over medium-high heat, heat just enough olive oil to coat the bottom of the pan until it shimmers. Add the quartered brussels sprouts to the hot pan along with a small pinch of salt (remember the miso will be salty), and give them a stir to coat them in olive oil and distribute them evenly. Let them cook, undisturbed, for 45 seconds to 1 minute at a time so that they develop a bit of color on each of their sides. Pan-fry them this way till the sprouts are almost tender, about 4 minutes. Pour the juice & miso mixture over the sprouts, and stir to combine. 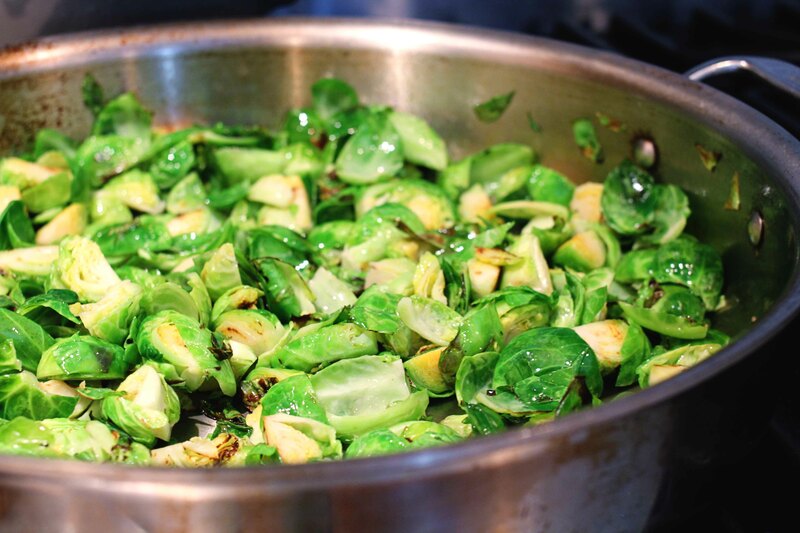 Continue to cook the sprouts, stirring and tossing frequently, until the miso and juice has bubbled down and reduced and is thickly blanketing each sprout, 3-5 minutes more; turn down the heat if at any time you feel that the glaze is burning or cooking down too quickly. Taste a sprout and add more salt if you feel it’s necessary. 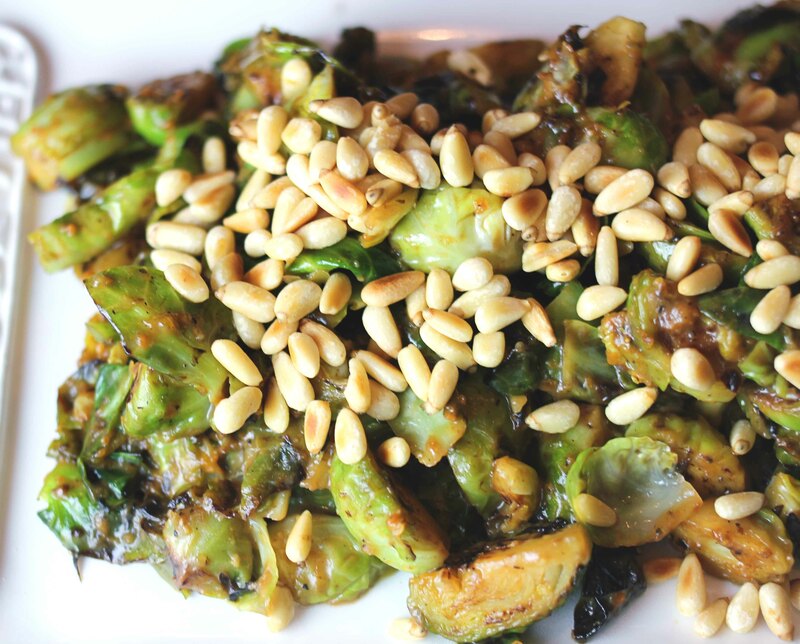 Scatter the pine nuts over the top of the sprouts and serve immediately. 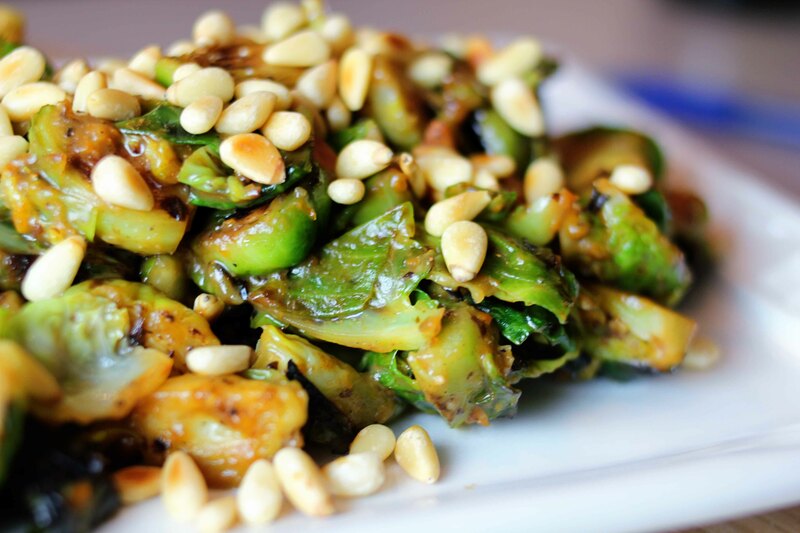 This entry was posted in side dish and tagged brussels sprouts, healthy, simple, vegetarian, weeknight favorite. Bookmark the permalink. I think I just had a food-gasm. I am definitely trying this…looks yum!